You may have purchased or received the 7.5 oz. 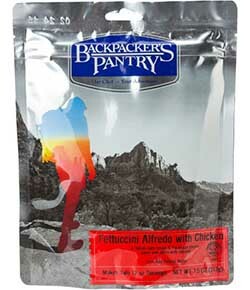 foil pouch of Backpacker's Pantry Fettuccini Alfredo with Chicken (Item number 273480/5DG97) manufactured by American Outdoor Products and sold by L.L.Bean. American Outdoor Products in cooperation with the USDA is recalling one specific batch of Fettuccini Alfredo because the product may contain wheat and milk not listed on the label. The batch of Fettuccini Alfredo with Chicken subject to the recall has a Best By date on the top seal of the pouch of 07/02/2020. No other Backpacker's Pantry products are affected by this recall. If you have the product as described above please be advised that the ingredient label is incorrect. For a full refund or exchange please contact L.L.Bean at 800-555-9717 or email us at LLBean@llbean.com.